CARE TODAY FOR YOUR HEALTH TOMORROW... at Forest Therapeutic Massage !!! Massage Treatments and Natural Therapies that promote therapeutic healing, relaxation and rejuvenation. Find out more. Body of Life Health Centre exists to equip you to live your healthiest and best life! Servicing the Northern Beaches and North Shore in Sydney our multidisciplinary team of health practitioners provide outstanding care and education for you and your family including Osteopathy, Chiropractic, Dry Needling, Massage, Acupuncture, Holistic Nutrition, TCM, Psychology and Health & Wellness Coaching. Find out more. Rosalba is an Osteopath with over 35 years experience in treating pain and muscular skeletal dysfunction She is also a leading expert in Breathing Therapy who has completed a PhD on dysfunctional breathing and its treatment She consults patients in Avalon at the Breath and Body Clinic and in Neutral Bay at Lotus Health. Find out more. Luke Preston (AACMA member) Acupuncture Cupping Chinese Herbs Tui Na (Chinese Massage). Find out more. Kristie is passionate about assisting women to achieve and maintain optimum health and wellbeing. She is an acupuncturist, herbalist and doula and supports women and their partners during preconception, pregnancy and beyond. Find out more. Traditional Chinese Medicine (TCM), Acupuncture, Allergy Testing / Treatments, Cupping, Herbal Medicine, Moxibustion, Natural Fertility Management, Weight Loss, Wellness Coaching, Women's Health. Find out more. Evidence based herbal medicine and Body Composition Analysis. Find out more. Live the happy and healthy life you've always wanted, when you organise your next professional Healing or Wellbeing Session at be Still & Chill Health and Wellness. Ayurveda and Counselling sessions also available. Find out more. Total Health Brookvale continues to support further research into the effectiveness of acupuncture. Find out more. 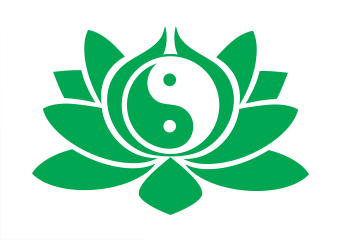 Welcome to Elanora Heights Physiotherapy, Massage, & Acupuncture Centre An understanding of East meets West is just one of the amazing ways that we can assess and treat your personal health issue. Find out more. Sonja specialises in providing a range of professional Acupuncture and Traditional Chinese Medicine treatments, to people of all ages who live in the greater Narraweena area. Rebates & discounts available. Find out more. Revive Your Health and Wellbeing at Oasis Health. Find out more. Deborah Sweeney of Kinesiology Northern Beaches will help you restore life's natural balance. Private Health Fund rebates are available - check with your health fund to see if you're covered for Kinesiology. Find out more. For more than a decade now, Health Space has been committed and passionate about giving clients an expert and professional approach to healing and health. Find out more. Sunny is a fully registered qualified and experienced TCM doctor She specialises in acupuncture & herbs for women's health, internal diseases, fertility, depression, anxiety, pain and general practice She has been practicing in the Northern Beaches of Sydney for an extended period of time. Find out more. Traditional Chinese Medicine looks at the person as a whole, taking into account medical condition (often in cooperation with relevant Medical or Natural Therapy practitioners), diet and nourishment issues, lifestyle and psycho-emotional state. Find out more. With gentleness, openness and warmth, Lisa treats each person as an individual – no two people or issues are the same. Find out more. The origins of acupuncture in China can be traced back at least 2000 years, making it one of the oldest and most long-standing health care systems in the world. Find out more. Christa has over 20 years of experience and enjoys treating a wide range of conditions. HICAPS AVAILABLE. Find out more.